As recruiters, we spend a lot of time on LinkedIn. 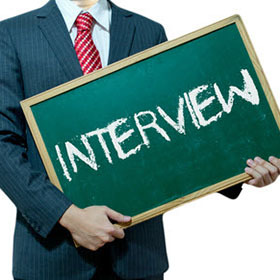 The platform makes it easy to find potential candidates by searching for people with specific skill sets within a designated area, and it’s a tool on which we rely for providing the most up-to-date info on candidate’s current jobs and locations. 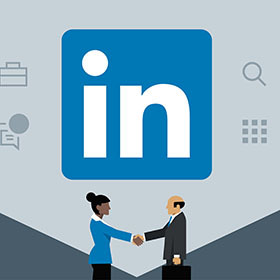 While LinkedIn’s profile creator coaches new users on how to fill in each section of their profile, it can be helpful to know how to optimize your profile so you can get found and get connected with those who will boost your career. I’ve compiled a list of some of my favorite tips on curating a LinkedIn profile that will best serve you throughout your career. According to stats published on entrepreneur.com, LinkedIn profiles with pictures get a 40% InMail response rate, and are 11 times more likely to be viewed in the first place. Most people do have pictures on their profiles, as we all tend to have multiple online profiles. But should you use the same profile picture that you use for Facebook or Instagram? Well, hopefully you could, if that picture is a clear picture of your face, without other people or a distracting background, but you might want to use a different photo anyway. A headshot is best, and make sure your face isn’t covered by a hat or sunglasses. I have a personal bias against car-selfies, as they look a bit unprofessional. Yes, you can send and receive messages through LinkedIn, but with only 40% of users checking the site every day, you might not see an important message until a few days later. Furthermore, as it costs money to send InMails, some would-be senders are turned away when the only way to contact you is by InMail. To ensure that you are reachable, add an email address you check regularly to your profile, and be sure check your LinkedIn inbox at least a couple of times throughout the week. Listing your skills makes your profile 13 times more likely to be viewed. Other users can endure you for the skills you post, and with over 10 million endorsements awarded each day across the platform, the numbers can really start to add up. Of course, keep an eye on what people endorse you for, because in addition to the skills you add yourself, the site will sometimes suggest to your contacts that they should endorse you for a skill you haven’t actually mentioned, and if they do, it shows up on your profile along with the other legitimate skills. So, if someone graciously endorses you for Java programming, but you have no experience as a programmer, just delete the skill—they won’t know, I promise. LinkedIn gives you a ton of sections to fill in, and while of course you don’t have to fill in everything (if you’ve worked in the States your whole life, I don’t need to see that you have a “Native” proficiency in the English language), you should fill in everything that is relevant to you. If you have a degree, fill in that education section. If you do Volunteer work, list it. If you moderate a website on travel deals in your spare time, list that too. This kind of information makes your profile more searchable, more likely to be viewed, and more likely to inspire responsiveness in your network when you reach out for connections, endorsements or referrals. If you don’t write a summary of yourself, at least write a brief summary of your responsibilities at all of your employers. A bare-bones profile with only companies and job titles can be hard for others to find. More written content on your profile is also a way for others to see how you write, which can add a little personality and credibility to your profile. A healthy connections list of at least 50 contacts makes you look good, plain and simple. The more connections you have, the more people will want to connect with you, because you likely add value to your network through active engagement, whether by endorsing others for their skills, facilitating networking opportunities by being responsive to messages, or by sharing informative content. The larger your network, the more value you’ll get out of LinkedIn. This helpful tip comes from inc.com. You can download your connections to create a file on your computer containing your contacts’ first and last names, email addresses, job titles, and companies. This provides a backup in case you ever lose these contacts. It takes a while to build your LinkedIn network, so a little added security is a huge time-saver. Click Connections, then Settings, and on the next page, under Advanced Settings, you’ll see a link to export your LinkedIn connections as a .CSV file. LinkedIn is an important tool for businesses, and keeping your profile updated and active is a great reflection on you as a professional in this age of social media. Spend some time reviewing your profile and interacting with your connections, and reap the rewards.